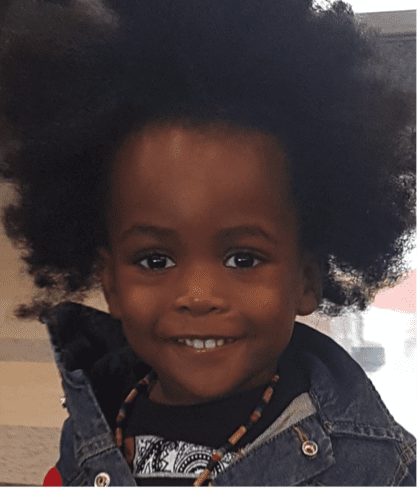 Isaac is an adorable, happy and energetic 2-year-old little boy originally from the Caribbean island of Antigua. Life was good until his mother began noticing blood in his urine when he was only 12 months old. She immediately sought medical attention. Without proper equipment to perform imaging studies locally, Isaac and his mother were forced to travel to Jamaica. After receiving proper assessment, Isaac’s family received the devastating news that their baby boy had embryonal rhabdomyosarcoma of the bladder. Isaac’s father, a US citizen residing in Georgia, joined his son in Jamaica but was determined to get Isaac the best care possible. He immediately began the exhausting and expensive process of securing the proper documentation to have Isaac join him in the US. After obtaining citizenship for Isaac, father and son traveled to Atlanta and spent the next several weeks at Children’s Hospital of Atlanta in Egleston. Isaac’s mother was unfortunately not granted a visa to join them, leaving Isaac’s father alone to care for his ill 1-year-old son and 13-year-old daughter. Young Isaac remains bright and hopeful. Isaac’s treatment began in the fall of 2016 and consisted of inpatient and outpatient chemotherapy and radiation. Isaac’s father worked full time to support his two children prior to his son’s diagnosis. However, as sole caregiver, he was forced to take unpaid leave from work in order to remain by his son’s side and bring him to all of his medical appointments. This caused a dramatic loss of income for the single father and put him in an extremely difficult financial situation. Isaac’s father reached out to his social worker when he became unsure of how he was going to keep a roof over his family’s heads. Recognizing their dire situation, the social worker contacted Family Reach. A grant was issued covering the family’s utilities thanks to Family Reach’s incredible community. This gave Isaac’s father the opportunity to focus his energy and efforts on his son’s wellbeing. “I cannot thank your organization enough for the support and much needed assistance at such a difficult time,” said Isaac’s father. Isaac successfully finished radiation treatment in January 2017, but still continues to receive chemotherapy. He is a strong young champion whose smile shines bright even during these difficult times! Click here to be a lifeline for families like Isaac’s.